Applying for a fine arts school is exciting as well as intimidating. 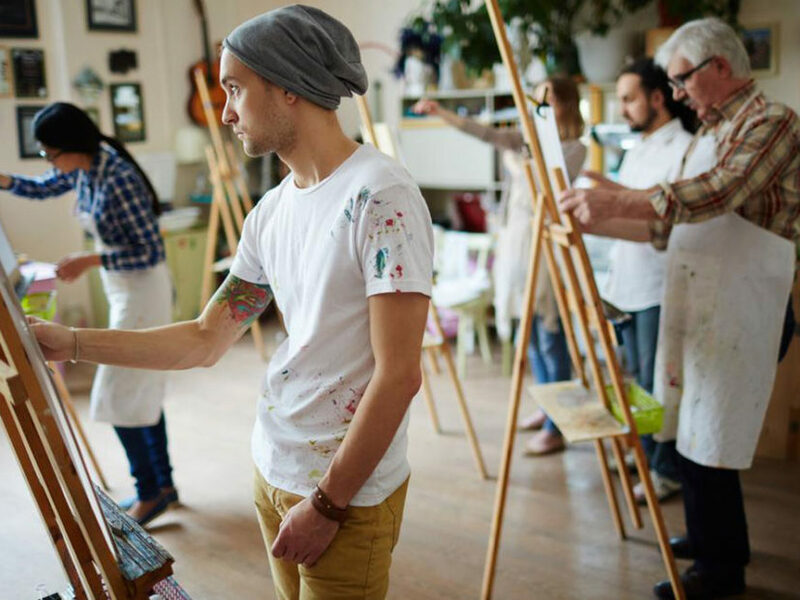 The degree of fine arts typically lasts for 4 years, and can alter you in so many ways as an artist and eventually your perspective towards life. Since getting into a fine arts school is not an easy act, here are 3 things you should meticulously focus on when you’re commencing with your application procedure. The first thing you do is extract as much information as you can about the potential fine arts degree courses. Right from the college, to its culture, to its syllabus, to the faculty and the financial aid, everything should be thoroughly scrutinized. Peruse through online brochures, compare the facilities and understand what works for you as an art student. There is a lot of material online that can assist you with deciding. You can also visit online communities, read reviews or start a discussion thread on a forum, if you have some doubts to be cleared. It’s also very important to have options so that you can always count on another college you have applied to. Be precise and honest while filling up your application form. The form for an art school will have some questions which will help the college understand your approach and thought process about art. So be very particular about the way you word it and don’t forget to proofread! It is imperative that you have a portfolio of your artwork. This is for obvious reasons the most crucial aspect of your application. Different colleges will require artwork in a distinct manner. Some might want a binder having all your work, some might want a digital copy of your work. Whatever it is, make sure it is clean, properly labeled and organized. Your portfolio is an important insight about your creative capabilities, so make sure you’re prepared to make a great first impression. Although this is not a standard protocol, a considerate number of arts schools have interviews. So, make sure that you have comprehensively worked on your awareness skills. The major part of the interview is that you should be able to project your vision and motivation for pursuing a fine arts degree. The interviewing panel may want to know more about the form of art you’re interested in and what you might possibly want to make out of it. Get an Apple Watch Series 3 from Amazon for just $199 macworld.com/article/339030… This is a damn fine deal, get em while the gettins good.